HAVANA, Cuba - As part of the legislative process of the Cuban parliament, lawmakers in different territories are discussing a draft of a new foreign investment law prior to its submission for analysis at the upcoming session of the National Assembly. Following debates on the bill in Havana, the president of the parliament's standing commission on constitutional and juridical issues, Jose Luis Toledo, told reporters that once the discussion process concludes, all criteria will be considered, which will lead to modifications if necessary in order to have the final document to be submitted to the parliament. The new bill provides guarantees for investors and establishes foreign investment as a priority in nearly all economic sectors, particularly in the production of goods. 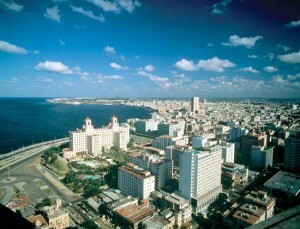 The draft law also favors the setting up of an investment portfolio presenting the areas of interest for investors interested in participating in the Cuban economy, and it also makes customs procedures more flexible in order to boost investment, among other advantages, the official explained. The foreign investment process takes place without renouncing the country's sovereignty and its social and political system, said the official as he noted that the new law will allow funneling foreign investment in tune with national development interests.